This block is used to make callout areas with ease. It is for 8.1 and above. 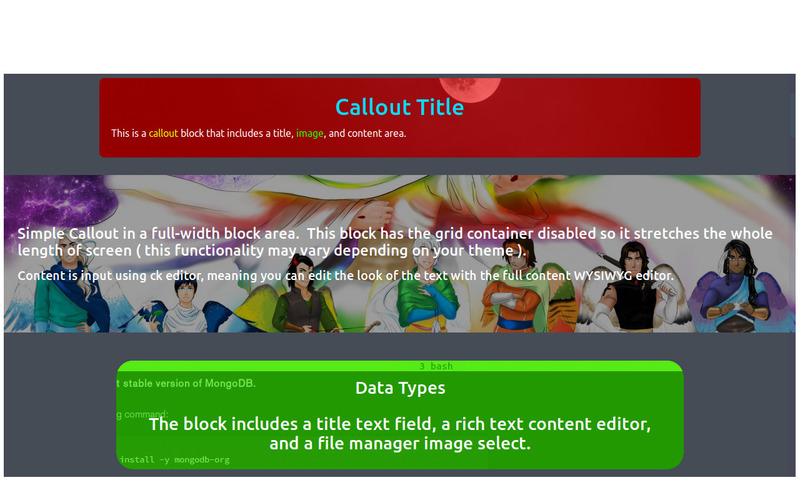 Provide a title, content, and an image and the block takes care of the rest. See the documentation page for examples and tutorials.